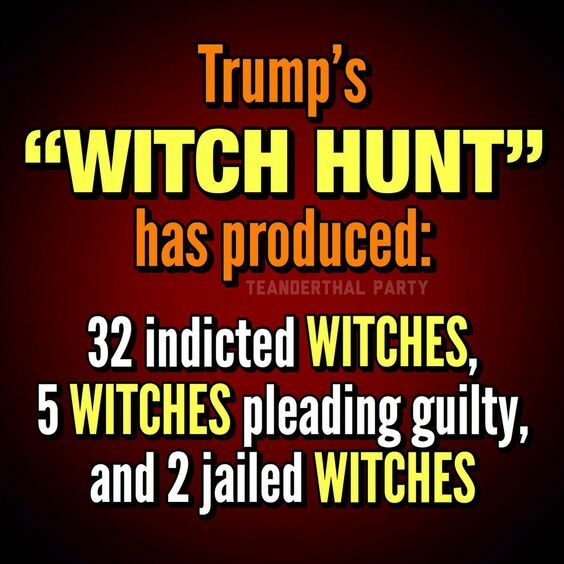 The best part of this “Witch Hunt” is that it’s open season all year long, and there’s no bag limits. It’s a hunter’s dream. #BLOTUS can call Mueller’s investigation anything he wants. The truth, however, is already disgustingly clear. Trump has sold out the United States to Russia. He is a traitor that needs to be impeached, indicted and put on trial for treason. And the same holds true for any member of Congress still supporting him. This entry was posted in Facts & Statistics, News & Views and tagged bag limit, Congress, disgust, guilty, hunter, impeachment, indictments, jail, liar, open season, Putin, Russia, traitor, treason, trial, Trump, witch hunt on July 20, 2018 by Ray Buchanan.